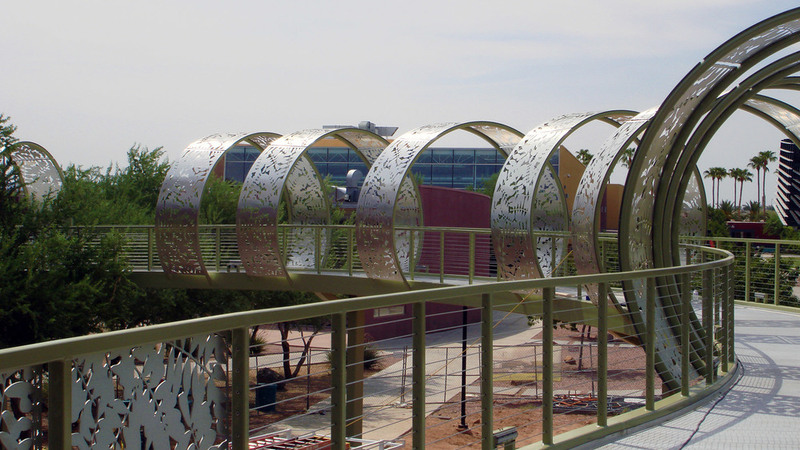 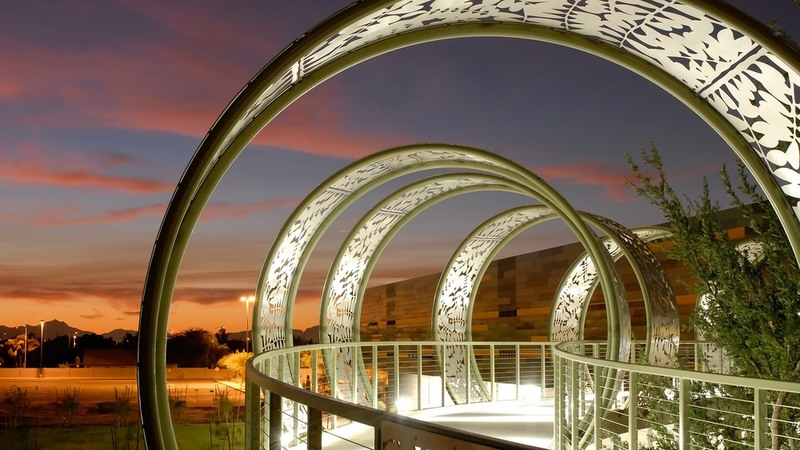 This work of art is a functioning elevated, sculptural pedestrian bridge connecting the new Ironwood Hall to an existing building on campus. 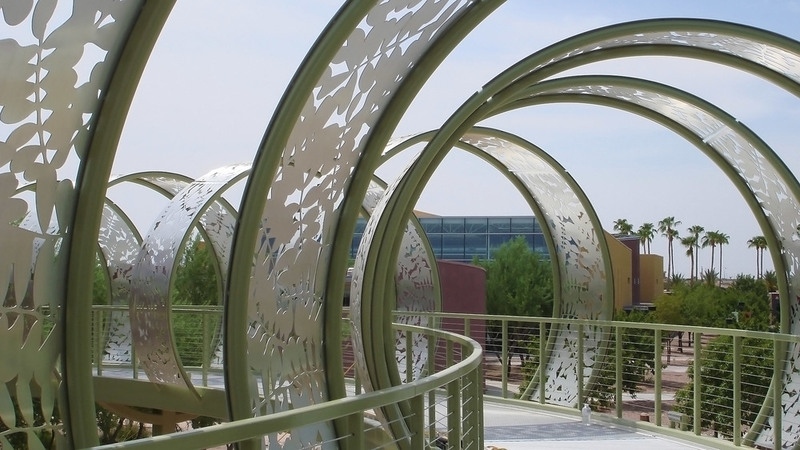 This curvilinear, 2nd level pathway meanders 200’ through a grove of Ironwood trees and highlights the natural beauty of the Ironwood leaf. 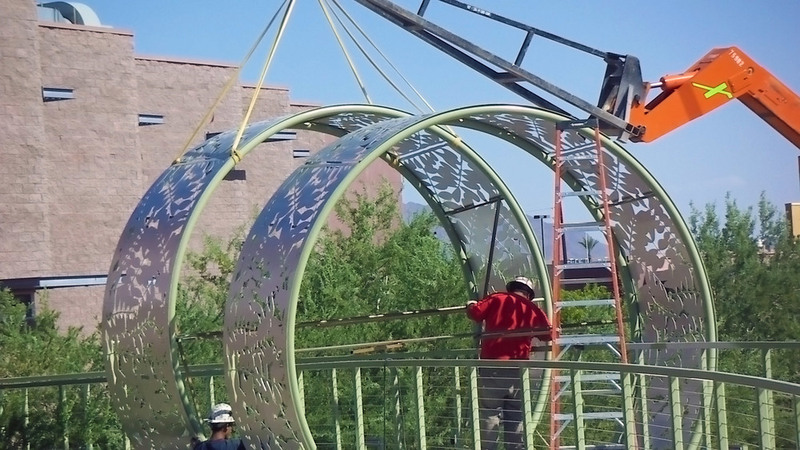 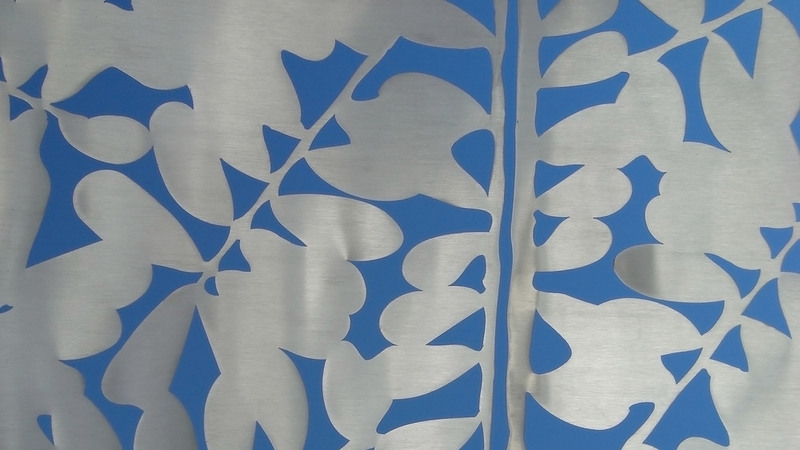 The laser cut design of the shade hoops, natural daylight and integrated, designed lighting, create dramatic shade and light patterns day and night.